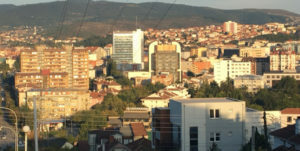 A joint workshop was organised last week in Pristina, Kosovo to present and discuss the preliminary findings from profiling data generated on the displacement situation in Kosovo. JIPS together with Statistics Norway supported the working group with technical expertise. The profiling exercise in Kosovo aims to assess the extent to which displaced persons within Kosovo have achieved durable solutions. The exercise looks at Serbian, Albanian and Roma IDPs in private accommodation as well as IDPs in collective centres. The specific objective of the workshop held in December was for all profiling partners to discuss the findings and provide input for the analysis phase. It furthermore aimed to define the objectives of the subsequent qualitative data collection that will supplement the quantitative survey findings for a more robust analysis. The profiling exercise in Kosovo was initiated in 2013 by the Ministry for Communities and Return (MCR), UNHCR and the Danish Refugee Council (DRC). JIPS has been involved since the beginning of the process and provided substantial technical support throughout, including facilitating consensus amongst partners on key technical decisions. The data collection and processing took place in October-November 2016. The exercise is overseen by the Profiling Management Group comprising: Kosovo’s Ministry for Communities and Return (MCR), the Serbian Commissariat for Refugees and Migration (SCRM), Kosovo Agency for Statistics (KAS), UN High Commissioner for Refugees (UNHCR), and the Danish Refugee Council (DRC). Through consultations with broader membership of the Profiling Working Group, also including the International Organization for Migration (IOM), UN Children’s Fund (UNICEF), UN Development Programme (UNDP), and the Organization for Security and Co-operation in Europe (OSCE), a variety of interests and expertise have been incorporated into the process. The final profiling report is expected in February 2017. In addition to providing an agreed upon evidence-base in internal displacement for partners in Kosovo, results will also feed into the global project on measuring progress towards durable solutions for IDPs. Read about the Kosovo profiling exercise as well as the durable solutions project.